Police have appealed for help in finding a 'distressed female' after receiving a number of reports from the public. The woman was in the area of Portstewart Promenade and The Crescent on August 1. She is described as being in her early 20s, with short blonde hair. She was wearing a black leather jacket and white jeans. In a post published on PSNI North Coast Facebook page, police revealed they 'were unable to locate this female and we would be keen to identify her'. 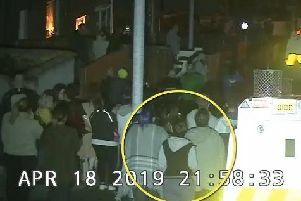 "We are appealing for this female, or anyone who can provide us with further information, to contact Coleraine Police on 101 quoting ref 1172 of 01/08/17," the post reads.